Generally speaking, the European settlers in North America coined the phrase 'Indian' or 'Red Indian' to describe the North American tribes they found while they were settling what is now the USA. To the north of this vast collection of varying regions and climates were the native settlements of what is now Canada, while to the south were the various peoples of modern Mexico, most especially the Aztecs. The Pamunkey were located on the eastern seaboard in what is now the states of Delaware and Maryland (eastern section), around Romuncock in King William's County, Virginia. They were neighboured by the Mattaponi and Opiscopank to the north, the Piankatank along the Atlantic coast to the east, the Chickahominy to the south, and the Powhatan (proper) and Youghtanund to the west. The Pamunkey were the largest tribe within the Powhatan confederacy, larger in fact than the sum total of the other five original tribes. Their name is shown in a variety of ways in original records, including Pamaunkee, Pamunkie, or Pymanakee. According to some sources, the Youghtanund, Manskin, and Pamunkey were sister tribes, perhaps little more than villages with extremely close affiliations. They are listed by several early cartographers as living on 'the Island Field' - Guttins Island - dwelling in several settlements. The sub-rulers or sub-kings of the Powhatan confederacy of the Virginia coast and Chesapeake Bay region were known as weroances (the plural form, or weroance, singular), an Algonquian word meaning leader or commander. Operating under the authority of a paramount chief called Powhatan, a weroansqua was the female equivalent. Spellings of both titles vary greatly thanks to the lack of standardised spelling of the time. Each tribe of the Powhatan confederacy was led by its own weroance, and like any titled lord in Europe's nobility he would carry the tribe's name as his title. Pochins, weroance of the Kecoughtan, would be referred to as Weroance Kecoughtan, or simply 'Kecoughtan'. Most foreign writers who came across a weroance did so only on a special occasion, because a foreigner's presence was special, as would be any notable visitor from outside the tribe. However, John Smith noted that there were few differences between weroances and their subjects. The Kupkipcock, Menapucunt, and Uttamussak were all further sub-tribes or settlements of the Pamunkey. The first of these can also sometimes be recorded as the Kaposecocke (most definitely the name of a Pamunkey settlement, although when bearing in mind the fact that tribal and village names are often synonymous, one could still conjecture it as being a Pamunkey sub-tribe). Pamareke can also be included as a Pamunkey settlement (and/or the name of a sub-tribe which occupied this village alone). The first, unnamed, chief of a new confederacy along the eastern seaboard is driven north to the Virginia area by Spanish colonists in Florida and surrounding regions. Once there, he takes over control of at least five other Indian tribes in Virginia. Upon his death his son, the young Chief Wahunsenacawh, inherits the duty of ruling over the six communities. He gradually expands his rule to cover more than thirty groups that includes a generous estimate of 15,000 people, although a more conservative calculation based on primary sources would indicate the total to be nearer 8,500. Name unknown. Created the early Powhatan confederacy. Son. 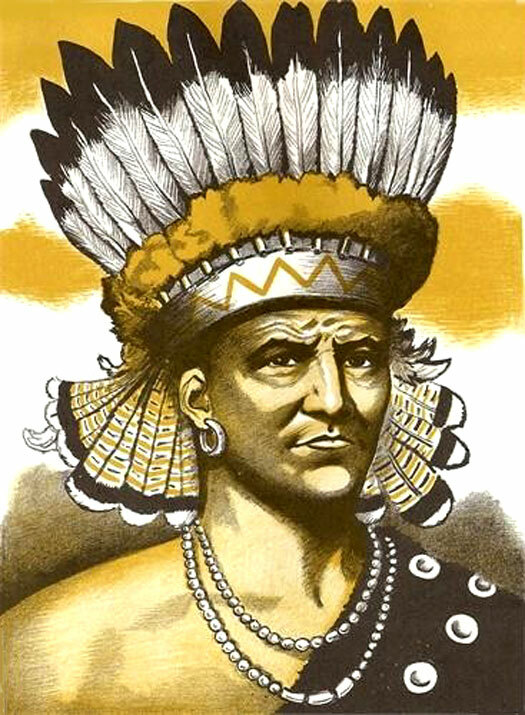 Father of Matoaka (Pocahontas). By the end of the sixteenth century, Wahunsenacawh (more accurately known as Wa-Hun-Sen-A-Cawh, and better known as Powhatan) is the paramount chieftain of the Powhatan confederacy, which includes most of the indigenous tribes in the Chesapeake Bay region. The tribes in this region are linked by a common language, Eastern Algonquian. 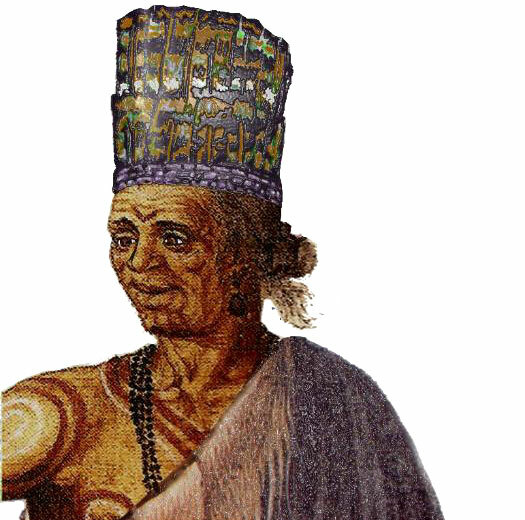 Powhatan is mamanatowick, the chief of chiefs, and he lives amongst the Pamunkey people, but his power and authority varies from one part of the confederacy to another. Peoples who are distant from his centre at Werowocomoco on the north bank of the York River are more politically independent than those who are located within the core territory. The various tribes pay tribute to him, and he rules by the threat of force but also by marriage alliances and persuasion. Several sub-chiefs, or weroances, govern specific regions or tribes under his authority and in his name. Some of these, as might be expected in any ruling elite, are relatives of his, although inheritance in Powhatan society is matrilineal. Weroance of the Pamunkey of Pamareke. Weroance of the Pamunkey of Kaposecocke. Attasquintan is weroance of the Pamunkey of Pamareke, within the original core of Powhatan territory and also located on the York River. The village is the centre of movement into the territory of the Monacan. Attasquintan is the main diplomatic link with the Monacan, traditional enemies of the confederacy, and is one of the few Powhatans allowed free travel between the two tribes. Wayamat is weroance of the Pamunkey of Kaposecocke, the largest settlement within the sub-tribe, and transportation hub of the Powhatan confederacy. Traders and travellers who are trying to find the best routes, a guide to the various capitals of the chiefdom, will go to Kaposecocke. Wayamat therefore controls the flow of traffic. Brother of Wa-Hun-Sen-A-Cawh. Pamunkey weroance. Killed. James Fort is founded within the area of the British Colonies, the earliest part of the later Jamestown Colony (1609) on the river of the same name. Captain John Smith encounters the Powhatan and catalogues the confederacy's many sub-tribes. He gives a count of Indian warriors as thirty Youghtanund, thirty Mattaponi, and three hundred Pamunkey. He says there are seven hundred under Opechancanough while he is weroance of the Pamunkey. Despite the natural distrust felt for most Indian tribes, it is noted by the colonists that the Pamunkey do not steal: 'Their custom [most Indians] is to take anything they can seize off: only the people of Pamunkey we have not found stealing, but what others can steal, their king receiveth'. In December of the same year, Smith is taken as a prisoner of Opechancanough to the chief settlement of the Rappahannock at Topahanocke (Tappahannock). Three years earlier, some members of the Rappahannock had been kidnapped and their chief murdered. Now Opechancanough forces Smith to confront the Rappahannock in a sort of identification line-up. Smith is declared innocent, not fitting the description of the murderer. The Susquehannock attack the Patawomeck villages in northern Virginia despite additional protection provided by the settlements of the British Colonies. Skirmishes between the English and natives for food also occur during an exceptionally dry spell of weather that lasts for seven years (according to dendrochronological samples taken for the region). This forms part of the First Anglo-Powhatan War (1609-1614). Upon the death of Wa-Hun-Sen-A-Cawh (Powhatan), he is succeeded as paramount chieftain by his brother, Opitchapam. 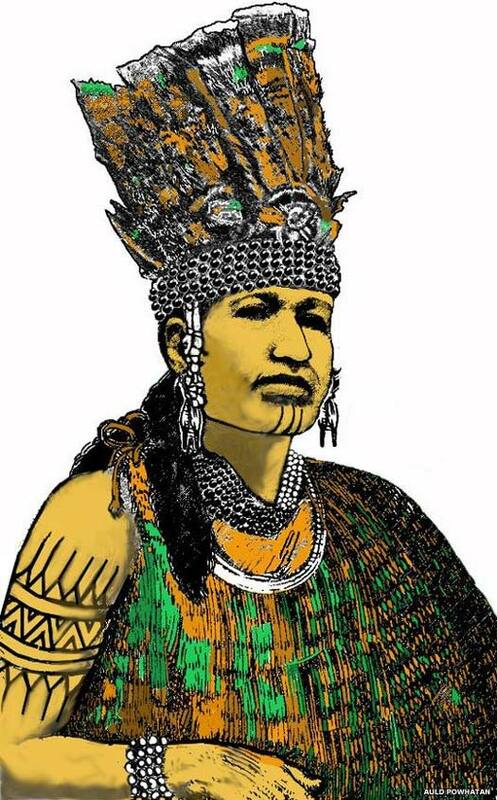 However, his younger brother, Opechancanough, appears to be building a power base amongst his Pamunkey subjects and would already appear to be the true power in the confederacy. By 1621 he has turned this into titular leadership as well, becoming paramount chieftain of the Powhatan confederacy. The Province of Maine (the far north-eastern corner of the modern USA) is founded in 1622, its name perhaps originating from the French province of the same name in New France. But it is not all plain sailing for the settlers of the British Colonies. The Jamestown Massacre devastates the Jamestown Settlement and the Citie of Henricus on Good Friday, 22 March 1622, along with Wolstenholme Town. Led by Opechancanough into the Second Anglo-Powhatan War (1622-1644), natives of the Powhatan confederacy launch a surprise attack which leaves a quarter of the colony's population dead (347 people, although the Patawomeck refuse to participate in the massacre). Trading with all four European powers in North America means that the Susquehannock have to source a great deal of fur. They are skilled hunters and trappers, but the huge demand keeps them so busy hunting they have little time left to continue their war of conquest against the Delaware and Chesapeake Algonquin tribes (mostly the Conoy, Nanticoke, and Powhatan living on Chesapeake Bay). The Second Battle of Virginia - sometimes referred to as the start of a Third Anglo-Powhatan War - takes place in 1644, with the native Powhatan confederacy still under Opechancanough. He leads a party of Powhatans in a violent assault on the British Colonies and as many as four hundred are killed. However, rather than press home their advantage, the natives retire. This bookends the Second Anglo-Powhatan War (1622-1644). The result of this failure to press home the advantage is that the English completely crush the Powhatan and take control of eastern Virginia. Opechancanough is captured and shot by his own guards and his successor - Necotowance - surrenders, agreeing to abandon everything below the falls on the James and Pamunkey rivers and to restrict themselves to a much-reduced territory. The Powhatan survivors leave Virginia. Being distracted by this war the colonists have little time to concern themselves with the Susquehannock. Unchallenged, the Susquehannock extend their dominion south from the Susquehanna River to the Potomac River where they claim the area between these two points as hunting territory. They do not ask permission of those tribes that live in this area. Relationship unknown. Former weroance? Died soon after? Son. Weroance of the Pamunkey. Married Cockacoeske. A group of strange Indians - known as Richahecrians (identified by some as Cherokees) - descend and make camp on the James River, apparently for peaceful, trading purposes. Colonel Edward Hill and a hundred men are sent by the British Colonies to force them back, and the chief of the Pamunkey - Totopotomoi - takes a hundred of his own men and joins the fight. The result is calamitous. Totopotomoi and most of his men are killed and Hill is forced into an ignominious treaty with the Richhecrians, for which the colonial assembly puts him on trial. Wife of Totopotomoi. 'Queen Anne' of the Pamunkey. The census of 1669 gives twenty Mattaponi and only fifty Pamunkey. 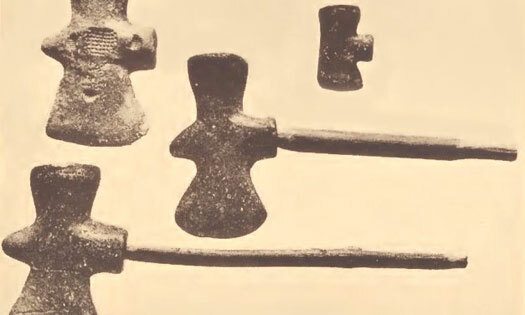 A later confusion between Manskin and Manakin meant that the former name is systematically removed from all text (the Manakin (possibly Manokin?) are a Nanticoke band living in Manakin Town, in what becomes Princess Anne in Somerset County). 'King of the North Indians' (Pamunkey or a sub-tribe). In the same year comes another Indian war, this time involving Maryland as well as Virginia. Known as Bacon's Rebellion, it is named after the leader of the Virginia Volunteers who leads his men in direct opposition to the wishes of colonial Governor Berkeley in a war of attrition against the Indians. The main effort is directed against the Susquehannock, but Maryland Indians in general, very likely fleeing from the depredations of the Iroquois, make several small raids into Virginia and all local Indians are held accountable by the colonists. According to Beverley, these raids are instigated by the jealousy of New York traders. A detachment of a hundred men - including mounted troops - is authorised. No one is allowed to sell powder or arms to the Indians on pain of death and forfeiture of estate. The tribes involved are the Susquehannock and Doeg (probably the Tauxenent of the former Powhatan confederacy or possibly the Nanticoke) of Maryland and the Occaneeche and others of Western Virginia. The remnants of the Powhatan confederacy, led by Queen Cockacoeske of the Pamunkey, take no part in the hostilities but suffer nonetheless. The Pamunkey and Occaneeche are almost annihilated by the colonists. Queen Cockacoeske signs the Middle Plantation Treaty, which brings the war to a close. By this treaty all of the tribes submit to the British Colonists, and are confirmed in their tribal lands, subject to an annual peppercorn rent of three arrows and a tribute of beaver skins. This is in payment for reconnaissance and surveillance services, and supplying a quota of warriors to serve against any enemy. Cockacoeske is recognised in certain special dignities and although several tribes are reunited under her authority, the Chickahominy and Rappahannock refuse to submit to her suzerainty (after a year of trying), having been free of Powhatan dominance since the death of Wa-Hun-Sen-A-Cawh (Powhatan) in 1618. The signatory tribes are: the Appamatuck, Nansemond, Nantaughtacunds, Pamunkey, Portabaccoes (one of the late-appearing tribes in the confederacy which may be a new formation or the amalgamation of previous units), and Weanoc of the former Powhatan confederacy, plus the Meherrin, Monacan, Nottoway, and Saponi. This treaty marks the end of the Indian period. The Indians along the coast lose their remaining land and are confined to small reservations because certain chiefs (Asconnowett, Osattaka, and the late Totopotomoi) regard[ed] themselves as 'tributaries to His Sacred Majestye and ye soveraignitye of the land where they live and doth belong to His Majesty'. Confirmed as native subject leaders are the 'Queen of Pamunkey', the 'King of Waonoke' (the Weanoc), 'King Serraohque of the Nottoways', and the 'King of Nansemond', amongst others. By this time there are only a handful of tiny Algonquian-speaking tribes remaining in the Virginia area, and one Iroquoian group. By the end of the century only four Algonquin reservations (Gingaskin, Mattaponi, Nansemond, and Pamunkey) and an Iroquoian one (Nottoway) remain. Some of the tribes that lose their reservations continue living together nearby, becoming ancestors of the modern 'citizen' tribes (especially the Chickahominy, Upper Mattaponi, and Rappahannock). The others have generally dispersed into the west and into other tribes. In the Piedmont, the tribes of the Sioux withdraw southwards, sometimes returning and then leaving again. Non-Indians pour freely into their territory. The Pamunkey join with the Mattaponi to be treated as one tribe. However, this does not last and the two tribes separate once more. These two are now the only surviving tribes of the Powhatan confederacy. The Pamunkey had provided the nucleus of the confederacy at foundation, so it is fitting that they should now be the last [but one] tribe standing. Virginia Indians are forced to re-locate from the Pamunkey Neck area of present-day King William County, where they have lived since the 1677 treaty had been agreed. Many former member tribes of the Powhatan confederacy are extinct by 1722, having drifted away or merged with other remnant groups. The Rappahannock had already lost their reservation shortly after 1700, while the Chickahominy had lost theirs in 1718. These groups and the Nansemond fade from public view. Only the Pamunkey, Mattaponi, and an Eastern Shore group keep reservations, although their land constantly shrinks in size. The Nansemond sell the last of their reservation lands, three hundred acres of the Nottoway River in Southampton County. The tribe has to wait another one hundred and ninety-two years before it receives official state recognition in the USA, and the Pamunkey have to wait until 2015 for theirs. Thomas Jefferson (former third president of the USA's second republic) is quoted in an article that appears in the Petersburg newspaper on 17 March 1820, stating that the only remains in the state of Virginia of the once-formidable tribes which formerly inhabited the land are the Pamunkey and Nottoway (the latter now being formed of Cheroenhaka and a few Mattaponi). Copyright © 1999-2019 Kessler Associates. All rights reserved.